Effective format, where your repeating goosebumps and tears reveal how- over and over- you were moved. Especiallly good that you ended with that line. The repetition here is very powerful. Thanks for drawing us into the moment with you. Word choice of goosebumps and tears says it all. I heard this too, and my thought was it was great, but makes me incredibly sad that there was a reason for this. 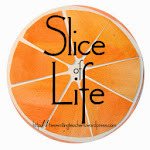 i enjoyed the repetition of the words in your slice. I think it accurately describes a lot of people's feelings over that recording. Hopefully it will support the changes that seem (HOPEFULLY) to be happening in our society after this last violence (I'm probably being too naive). Now I have goosebumps and tears -- I need to go find it. I missed it. Thank you for the powerful writing - repetition was powerful and musical. Glad I came back to find you today!